The use of magnetic tape in experimental music and sound art is varied and far from anything new. From the early musique concrète workings of Halim El-Dabh and Pierre Schaeffer in the 1940’s, to tape contortionists like Karlheinz Stockhausen, Brian Eno, Pauline Oliveros, Steve Reich, and John Cage, countless composers have recognized analog tape’s ability to delay, decay, feedback, loop, and Frippertronicfy with various results for many, many years. Maybe the most well known example of tape manipulation in music is the original Doctor Who theme song. Each note of the 1963 version, performed by Delia Derbyshire, was made by speeding up or slowing down fragments of recorded sound on tape. For the most part cassettes have been phased out for digital substitutes. But torchbearers continue to carry on the legacy with reverence; people who spin their spools in basements and bars, releasing DIY micro-editions far from the attention of the BBC Radiophonic Workshop. Many of these humans exist. Here are five who actively make cassette tapes their instruments. Posted up in Lowell, MA Howard Stelzer has been experimenting with cassette tapes for nearly 25 years, initially for obvious reasons: They were inexpensive, available, and expendable. But also because of what could be done with them. “I was attracted to the ease with which I could use tapes to render sounds unrecognizable.” Stelzer said. “I’d record some sound to a tape, and instantly hear how the medium radically altered the acoustic source. I could dub and overdub tapes, splice them with pause buttons, overload a sound into a condenser microphone and right away hear something utterly separate from whatever initiated the signal in the first place.” Over the years Stelzer put a glut of instruments (tuba, trombone, trumpet, bass guitar, drums) in the backseat, opting for tapes in the deck. “I think tapes are simply the language that I speak. When I think about music ideas, I only and always think of them in terms of how they’d be articulated via cassette tapes.” With dozens of releases across as many labels (RRR, Troniks, Chondritic Sound, NNA to name a few) Stelzer’s approach has evolved from dumping an unlabeled grip of tapes across a table (“it looked like trash, which it was”) and playing them at random to more focused sonic narratives. For a recent release, “Dawn Songs”, sounds from early morning walks with his dog Appa were captured on cassette, played through a loudspeaker in abandoned factories and parking lots, and recaptured on cassette. Finally released, on cassette, through No Rent Records. Formerly Pak, now going under the name Tether, Lauren Pakradooni says she has probably made about 250 loop tapes, most of which she still has. An interest gained while taking a course in Sound Art at Hampshire College in 2005. Her gritty, often corrosive loops seesaw performances and recorded material from dense clutter to rhythmical landfills. “I’ve always made the loops in groupings. Usually I have found a box of discarded mix tapes and make the entire box into loops, then start the process of recording material onto them using four track recorders, various instruments, and vocals. One time I found a case of 50 cassettes of recordings of one person reading the new testament, I made all of them into loops and took them on a nine month artist residency in Qatar. While I was there I also made loops from broken cassettes that I found on the side of the road, which was one of the only times I’ve used found sound.” In addition to standard cassette releases on labels like Refulgent Sepulchre and Dokuro, Lauren has self released limited edition loop tapes like “Porcelain Net“. G Lucas Crane is known for some notable effects. As a matter of fact, he won a theater sound design award in the category of… Well, Notable Effects. In addition to providing his “messy tape music” to the scrupulous theater environment, his sound collages have been heard on the psychy recordings of Wooden Wand And The Vanishing Voice, Woods, and alone as Nonhorse. An offspring of “beatnickity weird and solidly exploratory” parents, he would write poems and recite them at poetry readings. Not exactly the smoothest task to execute. “Then I started recording me reading poems on tapes, because tapes are immediate and cheap” GLC said of his process. “Then I started performing poems while playing the tapes of me reading. And I started mixing texts, one live and one prerecorded, and I did this more and more. Then I found that making the tapes interlock with the performance required synchronizing myself in the present moment of making the tape with the mindset that I’d potentially have during the performance. 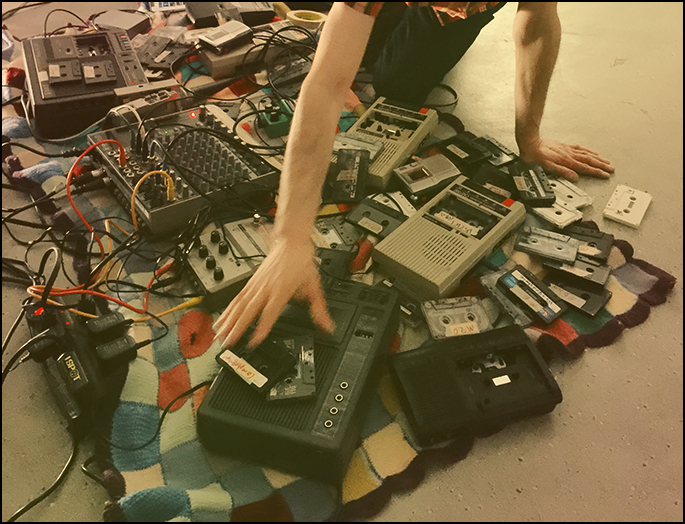 It got really weird… The tapes were texts.” Those texts are what caused musician friends to say “let’s collab”, and what led G Lucas Crane down the rabbit hole of recording hours and hours and hours of cassette messes. Or, as he calls it, fighting back in an environment of constant psychic war. Whitney Johnson looks (quite far) beyond the deck with her luminous tape whirling as Matchess. “I hesitate to use the word “magic” but there is definitely something ghostly about a magnetic interface.” Johnson said of the format. “You might even get an EVP from a heady paranormal entity attending the show! Multi-tracking on a 4-track must’ve been when I started playing with cassettes. I remember layering together some organ tracks when I heard a voice from beyond! It was probably a an EVP, but I guess it might have been a CB radio coming through.” Supernatural or not, the sounds of Matchess are undeniably spectral. Earthly features, like an interest in dealing with cassettes as tangible objects (flipping, switching, discarding during live performances), audible particulars (clicks, buzzes, warmth), and inspiration (Liz Harris, Aaron Coyes, Josh Levi) also nudged Whitney Johnson to bring tapes into her fold. This entry was posted in Uncategorized and tagged mike. Bookmark the permalink. 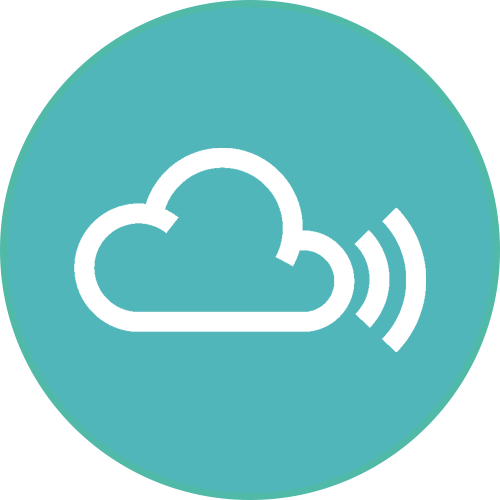 Follow any comments here with the RSS feed for this post. Both comments and trackbacks are currently closed.